3 Must Watch Classic Vilma Santos Films - Yo, Manila! 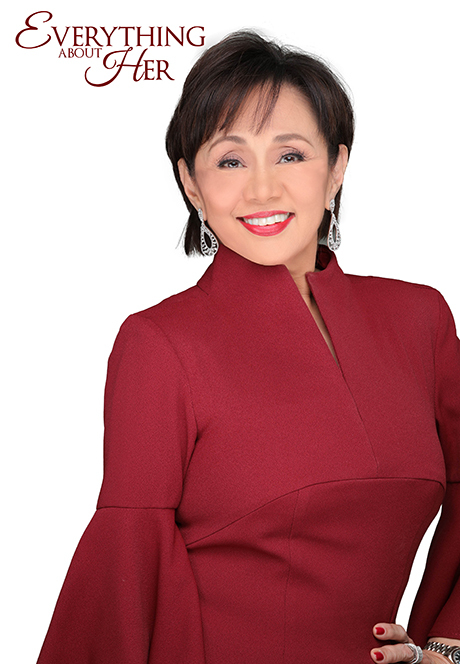 Everything About Her is the latest offering of Vilma Santos or the Star for all Seasons of local showbiz to the public. In this film directed by Bb. Joyce Bernal, moviegoers will see how she plays a strict and powerful woman who acquires cancer. Given her loyal Vilmanians and star powers of her co-stars such as Xian Lim and Angel Locsin, this Star Cinema produced film is expected to be another box office hit. But do you know other Vilma Santos films? What are your favorites? Thanks to some cable channels and video stores, watching her old films and the kind Filipino films in yesteryears is possible. In connection to this, here are some of Vilma Santos movies you should find and watch. Burlesk Queen. 1977 Metro Manila Film Festival and at the age 24, Vilma appeared in Celso Ad Castilo’s Burlesk Queen. Though she already showed some skin in her Darna films, acting as Chato / Czarina was the one that shed her wholesome image according to some reports. Apart from this trivia, Vilma also abled to beat other premier actresses in that MMFF. On the other note, Burlesk Queen wasn’t not only about Vilma’s acting prowess, it also featured the “what ifs” in burlesque business especially in small communities and how it affected lives. Sister Stella L. In 1984 Vilma portrayed the lively nun Sister Stella Legaspi, who joined with laborers to rally and fight for their rights against their company. You would like this film because it’s still timely and relevant up to this date. Furthermore, it had a total package from cinematic scenes, realistic acting, and notable dialogues. “Sabi nga ni Ka Dencio noong nabubuhay pa siya, kung hindi tayo kikilos, sino ang kikilos? At kung hindi ngayon, kailan pa? Bata- Bata Paano Ka Ginawa. An adaptation of Lualhati Bautista’s same title novel, “Bata,Bata… Paano Ka Ginawa?” let Vilma portrayed unconventional mother. She’s Lea Bustamante here who’s a social worker and had two kids with different fathers. Vilma delivered stunning performance whether in comedic and dramatic scenes especially with then, child stars Carlo Aquino and Serena Dalrymple. There are more notable Vilma Santos films to watch like “Dahil Mahal Kita: The Dolzura Cortez Story” (about an AIDS victim), “Imortal,” ”Gaano Kadalas ang Minsan,” and others. Next articleWhat Channing Tatum, John Travolta Have something in Common?